In need of guidance, oh wayward one? Turn to the oracle that is the Ask Curbed SFinbox. We'll burden the masses with your problems, and they, our all-knowing readers, will command thee. We love finding non-traditional homes in San Francisco, so we were psyched to see this question land in the inbox. Hi Curbed. i was hoping someone might know something about this house (see attached image) in Cole Valley on Schrader street. I don't think it is new, per say [sic] but it definitely sticks out in the neighborhood. Any idea who built it or when? We're stumped — so we turn to you, dear readers. 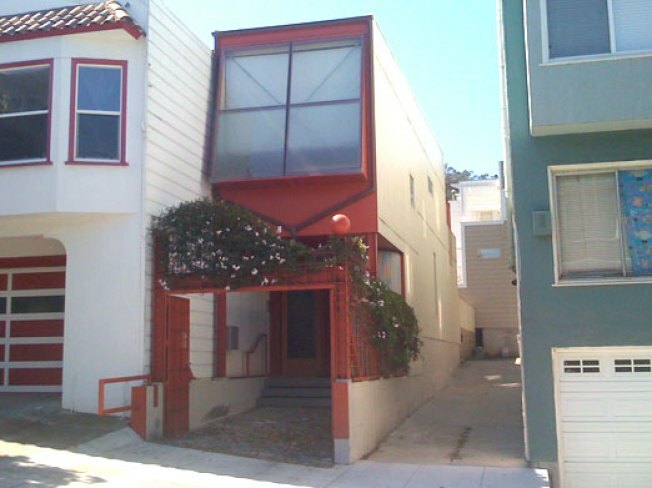 What's the deal with the Cole Valley home for narrow living?